Better than New! Only 1 year old and the home sits directly across from the park! Mountain and park views from the large covered front porch. All landscaping is done featuring a built-in BBQ grill and station, wood fencing, sprinklers, sod, trees and deck--a complete oasis! Even the patio furniture is included. Inside you'll find that the home is in absolutely "like new" condition! 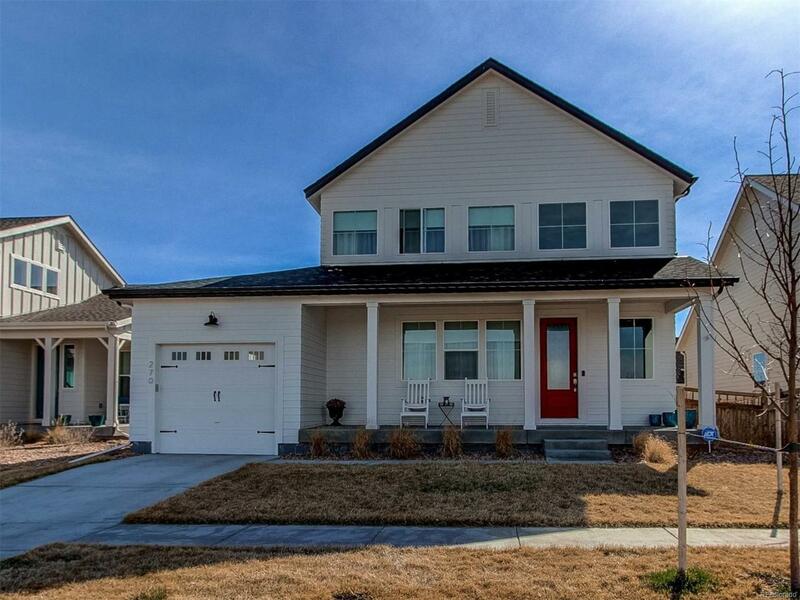 There are 3 Bedrooms and 2 baths upstairs, and the master bedroom has sweeping mountain views as well! The main floor features a dining room/study, the open concept Great Room is completely open to the kitchen with a large kitchen island, and there's even a main floor laundry. All stainless kitchen appliances are included. The garage is tandem with doors on both the front and rear for easy parking from either direction. Built-in shelving in the garage is also included. The community features a new pool, sports complex, and fitness center! Stop here before buying new! Offered by Mb Cherry Tree Properties Inc..
Association Name Primary Brighton Crossing Master Association Inc.